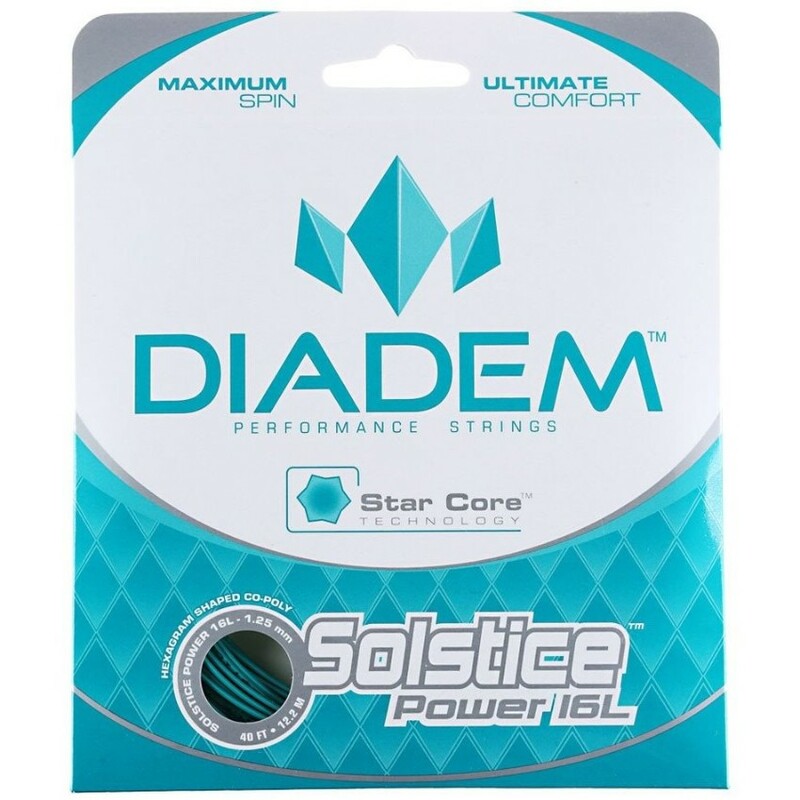 Diadem Solstice Power 16L String - Tennis Town | 網球購物城 - Tennis Racquets, Equipment, Strings, Shoes & Bag. This technology uses a six-pointed geometric cross section that equally distributes contact between strings, thereby minimizing friction significantly to allow for explosive snap back. At the same time the star shape provides a larger surface area creating more bite on the ball at impact to achieve maximum spin potential. The sharp edges give you maximum bite into the ball on contact. Reduced coefficient of friction from limited contact points allows for easy snapback after the ball leaves the string bed. The most aggressively shaped poly on the market, a unique star shape, maximizes bite and snapback resulting in the most spin friendly string available.